A Christmas table is not complete without ham, cheese and sausages. Here in England, small sausages called chipolatas are served with the Christmas turkey. 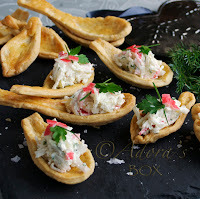 They are also served with drinks and on canapés. Toad-in-a-hole is a snack or appetizer which consists of sausages baked in yorkshire pudding batter. It usually comes with a caramelized onion gravy. What could be better? 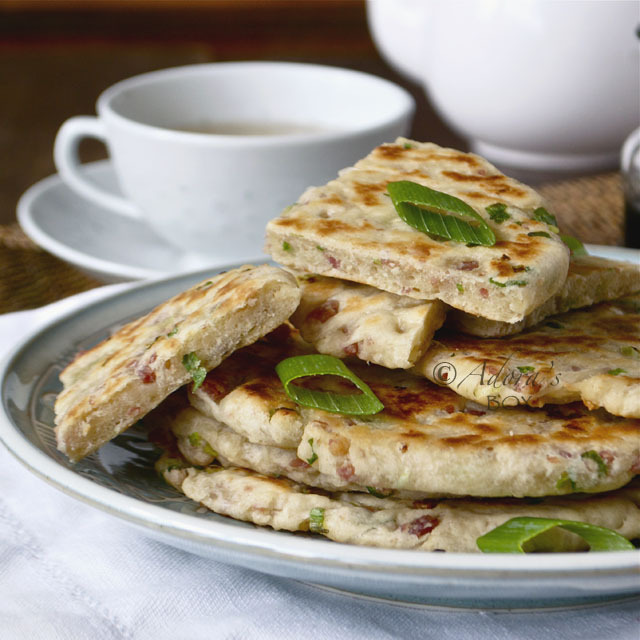 This is one of those kind of food that is for ordinary days as well as special occasions. It is easy to make and can be made ahead and re-heated before serving. The batter I used is a basic yorkshire pudding batter recipe that I have been using for many years. It has never let me down. Although yorkshire puddings are readily available in supermakets, homemade ones are fairly easy to make and far superior in taste. 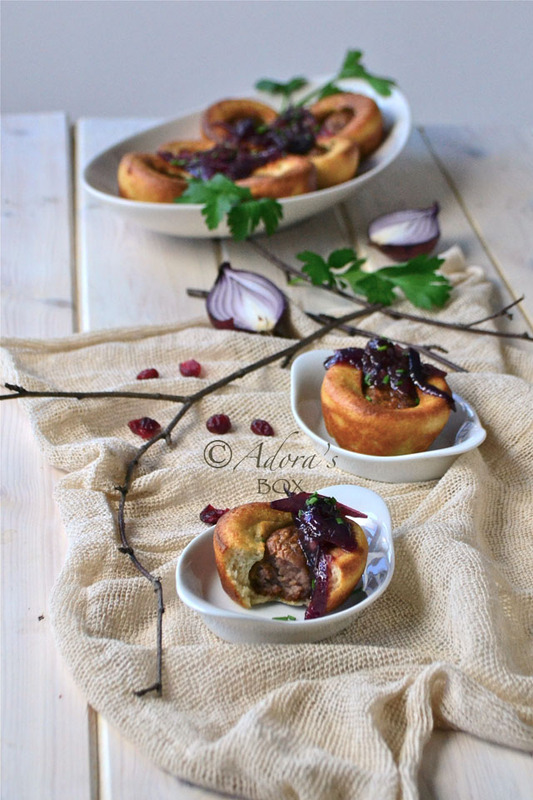 Toad-in-the-hole are made in big rectangular ones and cut up before serving. I made mine in regular muffin tins to make individual servings. You can use any sausage that you like for this recipe. 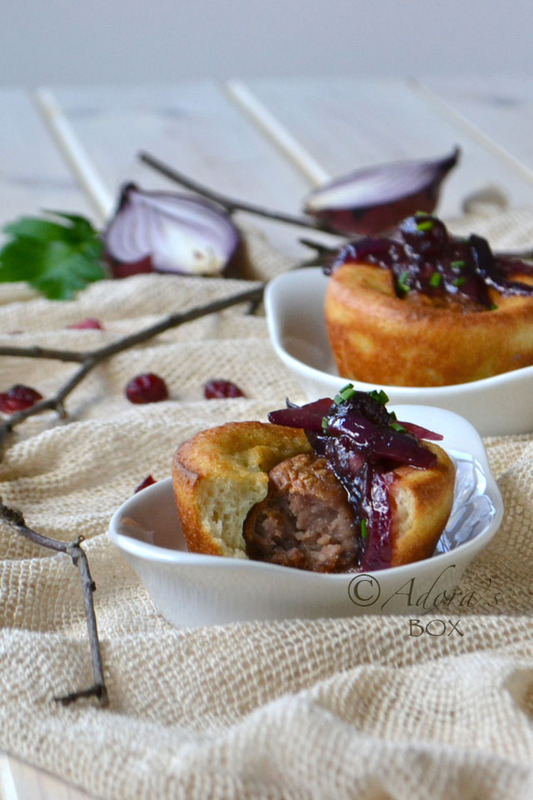 Although mini sausages are usually used for mini toad-in-a-hole, I made balls of sausage meat so that they sit perfectly in the middle of the puddings. You can also use meatballs for this recipe. 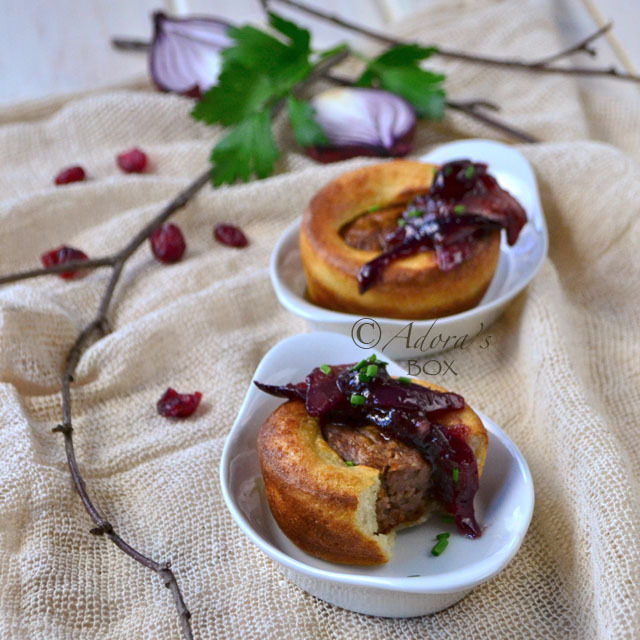 The caramelized oinion gravy took a festive twist with the addition of cranberry jelly. That just went so well with the toad-in-a-hole. Simple, delicious and easy: all boxes ticked, so party on! 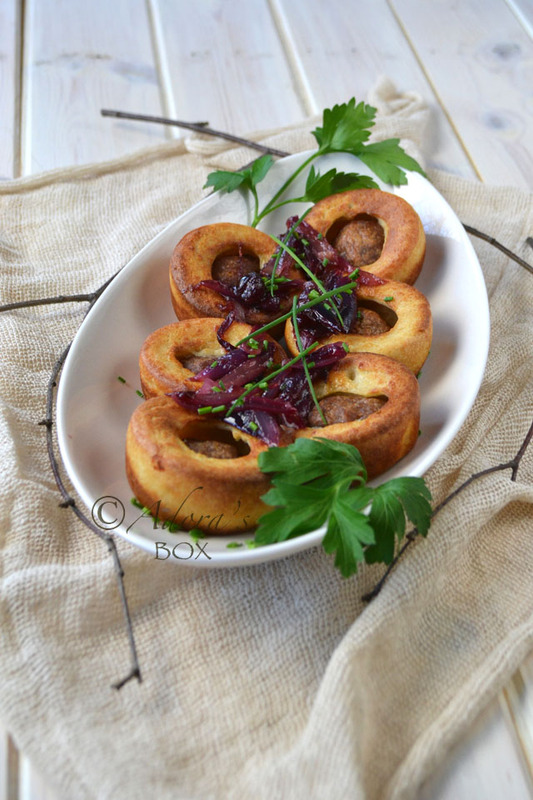 Make the yorkshire pudding batter following the recipe and refrigerate. Preheat the oven to 350° F/180° C.
Form the sausage meat into 12 balls. Arrange on a lined baking sheet and drizzle with a little bit of oil. Bake for 15 minutes. Take the sausage balls out of the oven. Transfer the sausage balls to a dish and reserve the drippings. Increase the oven temperature to 425°F/ 220°C. Prepare a 12 hole regular muffin pan. Spoon 1/2 tsp. of the drippings into each hole. Put the muffin tin back in the oven for 3-5 minutes to heat the oil up . Take the yorkshire pudding batter out of the fridge and add in the required 1 tbsp. of water as mentioned in the recipe. Whisk until combined. Take the hot muffin tin out of the oven pour the batter onto the hot drippings, until half full. Pop a cooked sausage ball in the middle of each. Bake for 15 to 20 minutes or until risen, golden and crisp. Run a sharp knife around each muffin hole to turn out. Top with the cranberry and onion chutney and sprinkle with chopped chives. Heat up a sauté pan. Add in the oil, garlic, onions and salt. Sauté on low heat for about 10 minutes until softened and beginning to colour. Add in the rest of the ingredients and stir until bubbling. Take off the heat. Serve with the toad-in-a-hole. Nice and beautiful. I have not heard of this snack "Toad in the hole" before.... looking very mouth watering as always any dish or snack came from you. I like that cranberry and red onion chutney. We have toad in the hole regularly in our house, love it. Have bookmarked your chutney recipe, thanks. This is exactly what I love about food blogging - finding a delicious looking recipe that is totally unique to me! Yes, I've heard of Yorkshire pudding, but never really knew what it was, and the toad-in-the-hole that we made in the south was more like a corndog (a hotdog fried in batter). I love this snack/breakfast/brunch! And the chutney sound perfect with it! Definitely pinning this one! Thanks for sharing such a fabulous twist on a traditional recipe!